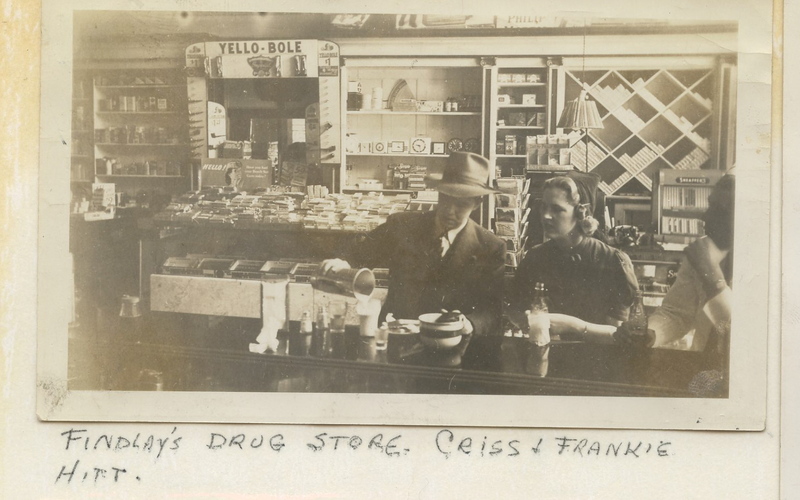 Russell Criss and Frankie Hitt in Findlay's Drug Store, 1941. “Two men had rooms in the other side of the house, but they had a separate entrance and their own bath. Leroy Hammett, one of the male boarders at Miss Annie's. 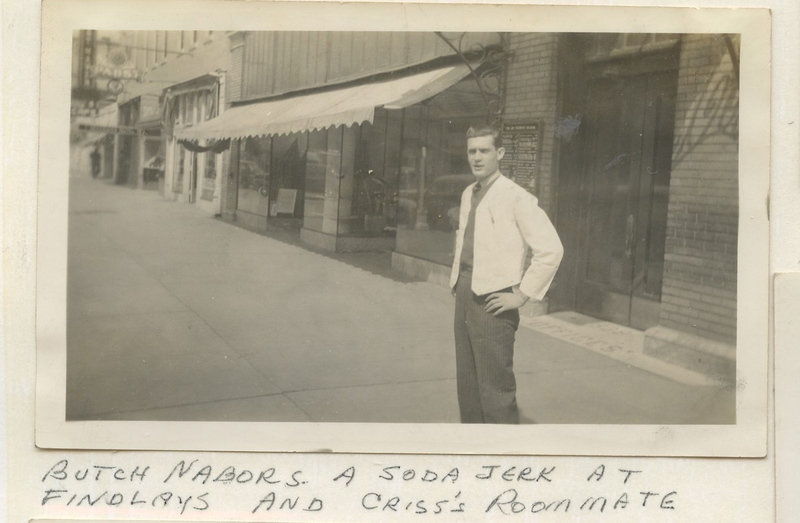 Butch Nabors, Russell's roommate, on Main Street, Greenville. “One reason I liked eating at the drugstore was everyone in there was so friendly, including Russell Criss, who was in charge of the soda fountain. 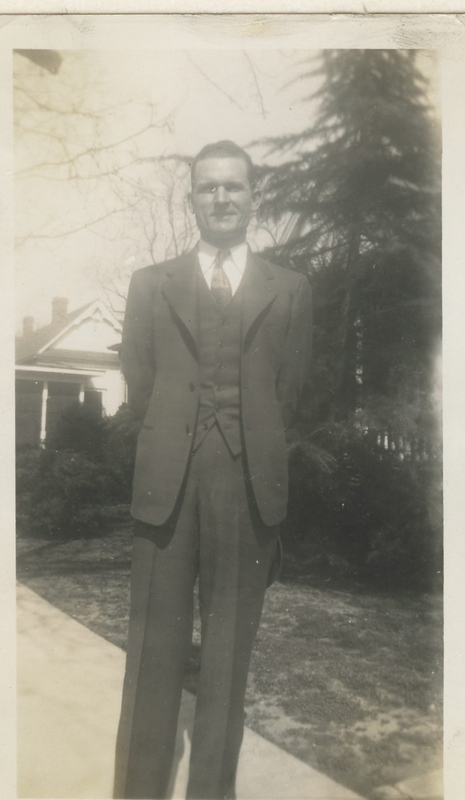 He very quickly conned me into typing the stencils for his menus each day and finally, on New Year’s Day, 1941, borrowed one of the pharmacist’s cars and invited me to go get a sandwich. 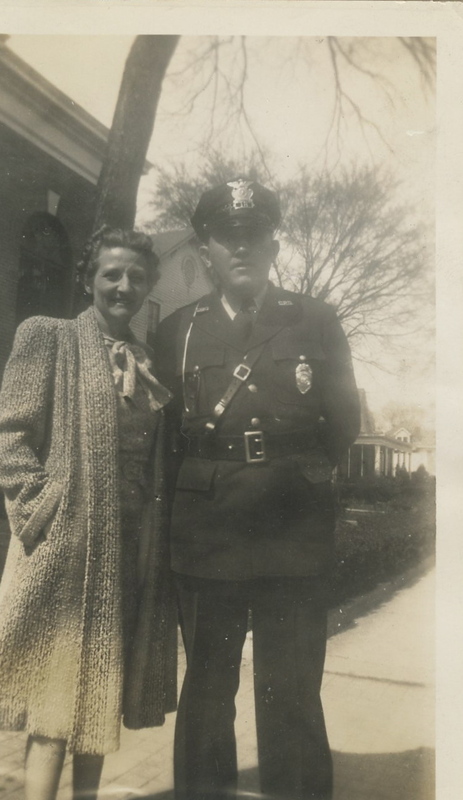 He lived just a few doors down from Miss Annie’s house in a rented room. We began having a few dates but were not going steady or anything. He had to work a lot at night since the drugstore stayed open until ten, and he did not have a car. “My first job almost turned into a disaster as the woman I had to work under, Bernice Pabst, was well known for her mean disposition. She immediately decided to take it out on me because I was young, and she knew she could get by with it since the boss, Rex Morphis, was like a big overgrown baby and had no backbone at all. He would let her get by with anything. The district director, Mr. Rich, knew how she was treating me so in April he asked me if I would like to go back home and work in the office there while the secretary, Olene Lary, took time off to have a baby. I jumped at the chance though I hated to leave Greenville where, other than at work, I was having a good time. For those of you who read romance novels, no need to panic. This is going to turn out OK, trust me. It’ll just take a bit longer.